Arraiolos is type of counted thread embroidery using wool thread on fabric which can be jute or linen. The world-famous Arraiolos Stitch is a long-armed cross-stitch, the basis of the technique used in making these carpets, but it was not born there. The first documentation on the use of this technique comes from the 12th century in Spain, while the first reference to a rug made in Arraiolos dates to 1598. Only later this stitch gained the "Arraiolos" designation but nowadays it is known as that almost everywhere. And history tells us more... The first embroiderers of these rugs were middle class women, living in the urban area of Arraiolos for whom embroidery was a domestic and not commercial activity. Documents also show that in addition to the local importance of wool production, there was an intensive textile activity with the presence of many professionals needed to the rug's execution. It was known that carpets were made by Jews and Moors in Lisbon before they left the town. 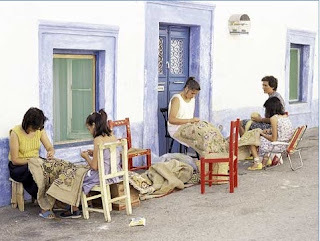 So it is plausible that the coincidence of experienced carpet makers joining the materials and textile professionals gave birth to this treasure of Portuguese culture. 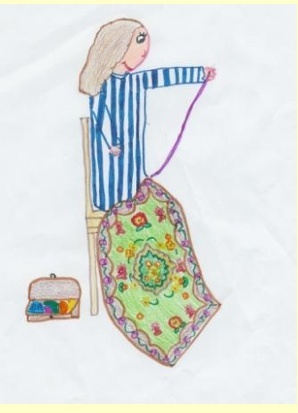 "(the embroiderers) patiently dominated the motifs of birds, flowers, medallions, geometrical bars, developing a decorative art that settled in the daily life of population. Carpets are intimately related to the way of life and sociability of Arraiolos providing unique moments of familiarity: we see groups of women sitting in the shade of the houses and walls, in the long and bright days, patiently embroidering rugs then installed in the interior of homes. 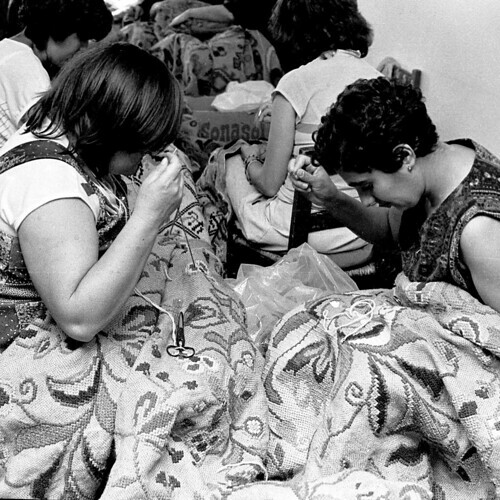 The needlewomen are, still today, the foundation of a cultural circuit that connects the house to the street and Arraiolos to the rest of the world." 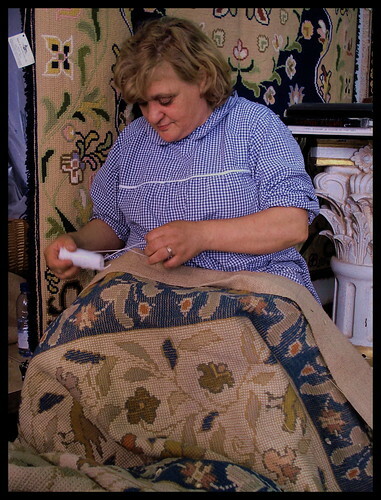 Let me end with a legend, the Forever Bride, which show us how rugs are so deeply rooted in local traditions. Interesting and educational post. Nice.